After releasing its annual ranking of Canadian cities based on their quality of life, MoneySense Magazine ranked Ottawa as “the best place to live of all large and medium cities in the country.” Another study released by the Ottawa Sun Newspaper declared Ottawa as “the second best place to live in Canada.” Among the various published research proving Ottawa to be a remarkable city, there are multiple reasons why we think it’s an awesome place to live. 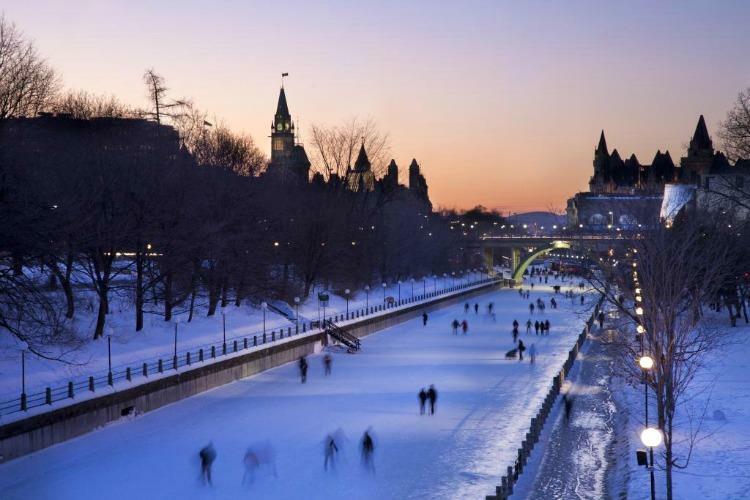 Registered as a UNESCO World Heritage Site, the Rideau Canal, stretching 202 kilometers in length is known as the world’s largest skating rink. Unofficially called ‘Rideau Waterway,’ it connects the city of Ottawa, on the Ottawa River, to the city of Kingston, on Lake Ontario. Thousands gather every winter to enjoy long skates (free of charge) with their friends and family, breaking for hot chocolate and beavertails at the various kiosks set up on the canal every year. Not confident on skates? Join the many travellers on foot and admire the ice sculptures and carvings created by artists from around the world in the annual ‘Winterlude’ event. Rather stay warm? Visit the canal in the summertime and rent a pedal boat, kayak or canoe by the hour, then grab a bite to eat at one of the local restaurants stationed right there on the water. Ottawa is a young city and one that is rapidly diversifying. Its diversity can be seen in some of the city’s charming ethnic neighbourhoods. 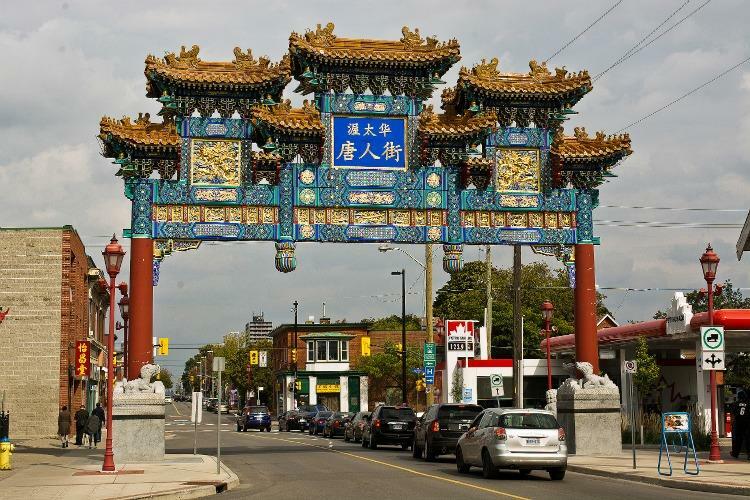 Chinatown, located close to downtown Ottawa, is a place for fantastic Chinese and Asian restaurants and food shops. Another wonderful neighbourhood is Little Italy, situated in Centretown and the original home of Ottawa’s established Italian community. Many of the restaurants located in these neighbourhoods share a certain history, which makes them even more attractive. ‘The Prescott,’ for example, in Little Italy, established in 1934 by Antonio Disipio became famous for its meatball sandwiches, pasta dishes and its unique and original square pizzas. The windows on the front read ‘Purveyors of Beer and Wine,’ a tradition that the restaurant continues to this day. Regardless of your social or ethnic background, it’s hard to resist the great restaurants and outdoor cafes offered in these small towns where you’ll never feel too far from home! 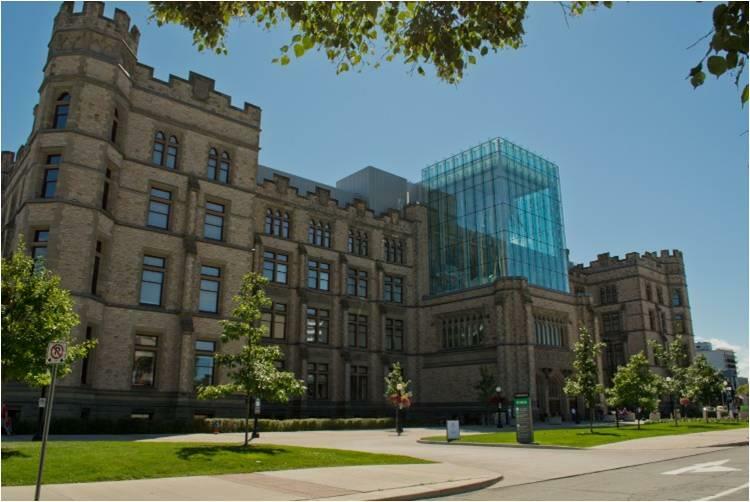 Built for the legislature of the province of Canada in 1859, this historic site is flooded with over 3 million visitors annually. Known as the political and cultural heart of the city, free guided tours are available daily, including a chance to head up to the Peace Tower for an incredible view of the city. During the year, the Hill is the focal point for a number of the biggest celebrations in the country: Canada Day (July 1) sees about a hundred thousand people descend upon the landmark for entertainment and a thrilling fireworks show, the summertime Sound and Light show is a nightly marvel, and Christmas Lights Across Canada illuminates the Hill like no other spot in the nation. There is something for everyone to see at the Canadian Museum of Nature. Housed in the Victoria Memorial Museum Building in Ottawa, the mammal gallery, bird gallery, valley earth gallery, and animalium are only a few of the many exhibits featured here. See and learn about the unique specimens, displays and behind-the-scenes stories during a visit or tour with family and friends at this special museum. And, if your family needs a break from all the action, enjoy a quieter moment in the children’s area with toys and books, where the fun is a little less wriggly! Is nature not your thing? Visit the Canadian War Museum and spend a few hours learning about the country’s history and the great men and women who served protecting it. The above description is what you’ll see when you check out their website. If you’re looking for a unique, exciting and unforgettable experience, look no further! As a premiere entertainment business in Ottawa, Escape Manor has become a top choice for team building, corporate events, group outings, birthdays and bachelor(ette) parties. 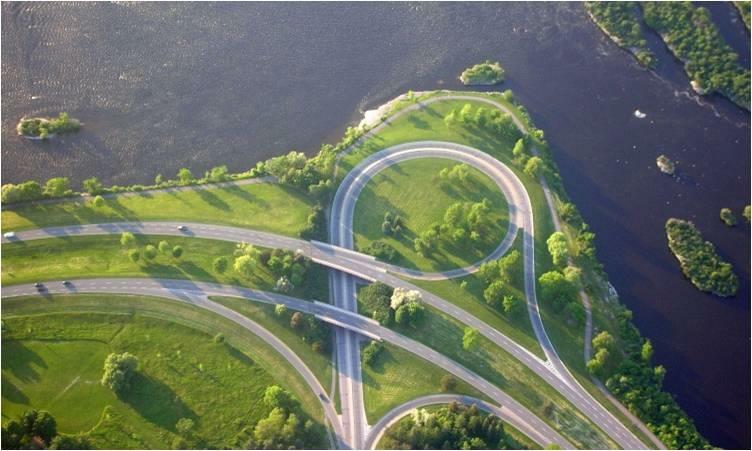 The Ottawa River Parkway is a four-lane scenic parkway along the Ottawa River in Ottawa. It runs from Carling Avenue near Connaught Avenue, to Booth Street at the Canadian War Museum and National Holocaust Monument. 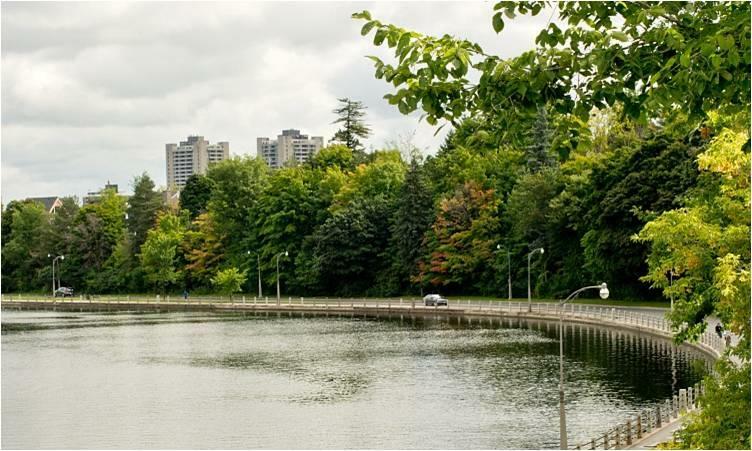 Whether you bike, walk or rollerblade, nature and shorelines are key features of this parkway system where some parts are now considered cultural landscapes. The bike path is a great way to get downtown as it goes straight to the locks and Rideau Shopping Centre, making commuting very easy and a pleasant ride. There are also several places to stop and rest on hot or humid days in the summer. Referred to as “Canada’s most beautiful cathedral,” this site was originally home to the small wooden St. Jacques Church, built in 1832. Numerous marriages are held here every year, and regardless of your religious or spiritual background, the neoclassical architecture alone is what draws the population in. The original gold leaf star pattern, wherein 14,000 starts were installed on the ceiling, encompass the elaborate interior with unique stained-glass designs painting every wall. The basilica’s heritage value is carried by its design, materials, interior decoration and craftsmanship. 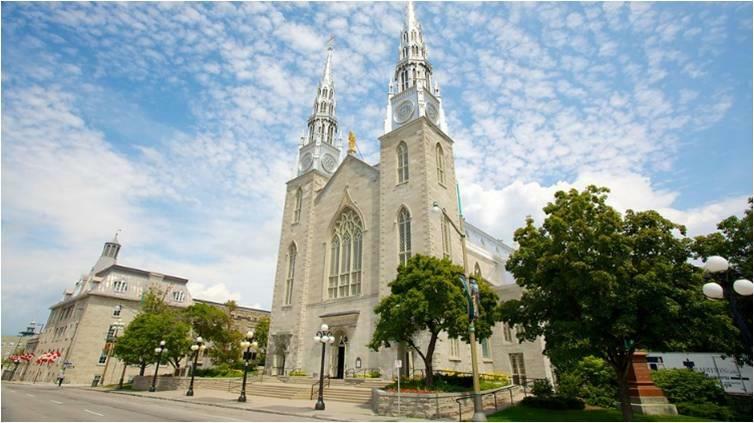 In its design and construction, Notre-Dame Roman Catholic Basilica integrates classicism, Quebec church architecture and the French Gothic revival style, notable for the continuity of design throughout the entire structure. 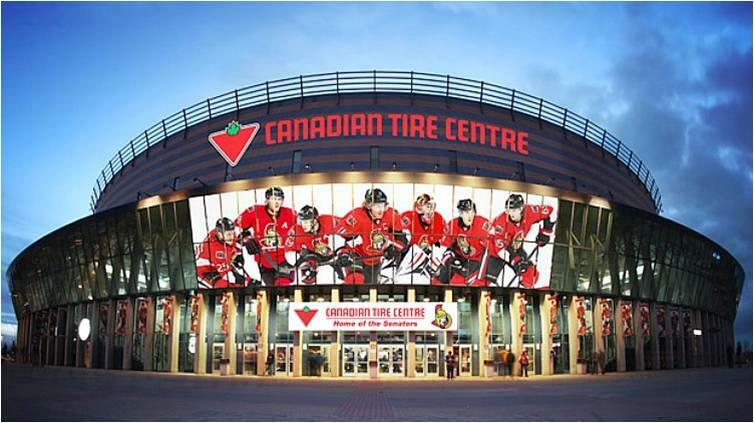 The arena is primarily used for ice hockey, serving as the home arena of the National Hockey League’s Ottawa Senators since its opening in 1996, and as a temporary home for the OHL’s Ottawa 67’s during renovations at TD Place Arena. The arena is also used regularly for music concerts and has hosted events such as the CIS Men’s basketball championship. Its capacity of over 19,000 and its convenient location in the west-end make this Centre a popular site all year round where you can buy tickets to see all your favourite artists and/or athletes! Long day at work? Need a laugh? 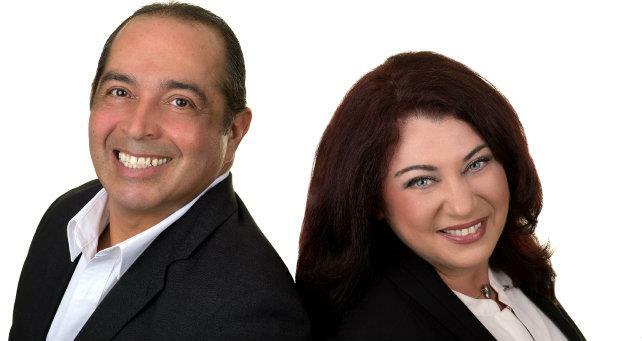 Call and make a reservation at this well established comedy club located in downtown Ottawa. Absolute Comedy, located on Preston Street is open 7 days a week and features an Amateur night every Wednesday where you’ll watch 3 to 5 local amateur comics, as well as 1 or 2 of the professional weekend performers. Thursday through Sunday shows normally have 2 or 3 comedians with an MC, a feature act and a headliner. The shows last approximately 90-100 minutes and all contain adult content even though there is no age restriction for entry to the show. So parents- exercise discretion. Full bar and food service is also available before and during each show! Ottawa ranks among the world’s most desirable cities to call home. The National Capital city is very clean and green offering unparalleled health services, economic securities and affordable housing options. From first time home styles to luxurious mansions to mature adult surroundings, there are many styles, price points and neighbourhoods to choose from. The developed city core provides an assortment of choices from new construction, cozy heritage; mature setting, to condo high rises. Ottawa’s average housing prices are currently below the National average, which means it is a great city to invest in. Population is currently under a million; a small town feel with a big city presence! Support your local community by visiting one of the many local breweries stationed in and around the Ottawa area. 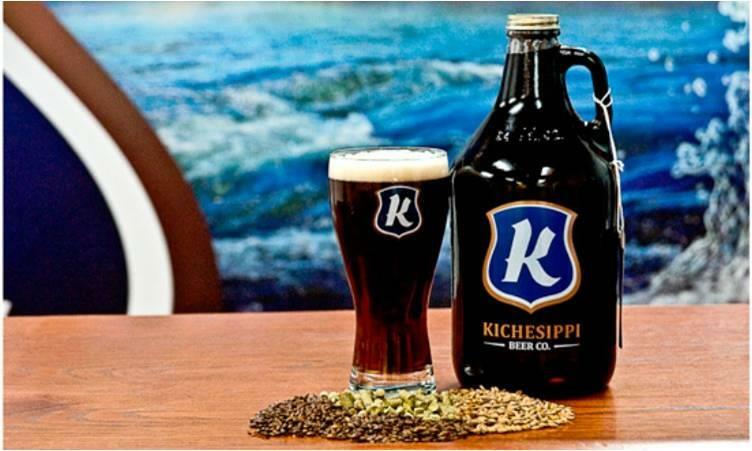 Some of the featured locations include: Broadhead Brewing Company, Kichesippi Beer Co., Clocktower Brewpub, Beyond The Pale Brewing Company, Ashton Brewing Company, and Cassel Brewing. Join a brewery tour where you and any beer purchased will be shuttled to and from the meet up point to a curated collection of breweries. On the tour there is always an education session on the production of beers and the basics of tasting where free appetizers and bottles of water are offered to ensure a healthy tour! 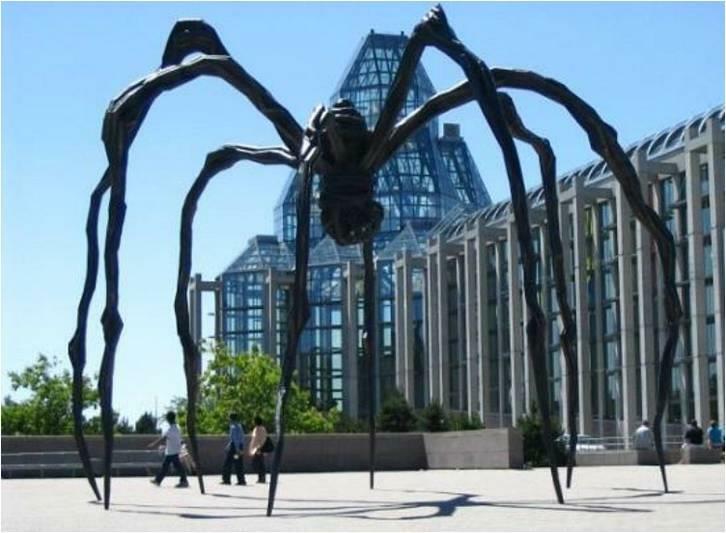 The National Gallery of Canada is one of Canada’s premier art galleries. Participating in one of the unique tours is a wonderful way to enrich your experience of the Gallery whether you’re alone or in a group, they offer a variety of tours that will give you a fascinating new perspective on the works of art found throughout the collections. It’s reserved for its scholarship, applauded for its ability to engage audiences of all ages and all levels of artistic knowledge, and renowned for its exceptional collection of approximately 65,000 works of art. It makes its home in a grand, light-filled structure of glass and granite, in which visitors can find a garden courtyard, a glass-bottomed pool, a reconstructed 19th century chapel and many other breath-taking treasures! The Central Experimental Farm (CEF) is an agricultural facility, working farm, and research centre of the Research Branch of Agriculture and Agri-Food Canada. 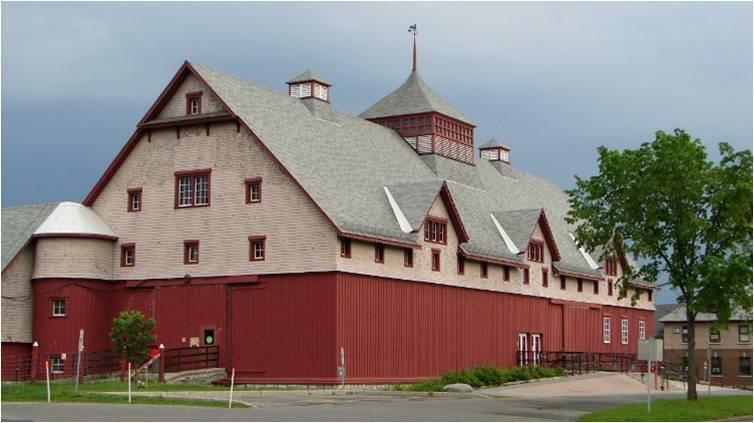 As the name indicates, this farm is centrally located in and now surrounded by the City of Ottawa. This magnificent collection of trees and shrubs covers about 35 hectares (86 acres) of rolling land. More than 2,000 varieties have been adapted to the region, some dating back to the first plantings in 1889. The northeast corner of the Arboretum has its own microclimate. Here, you will see magnolias, rhododendrons, a wisteria and others. 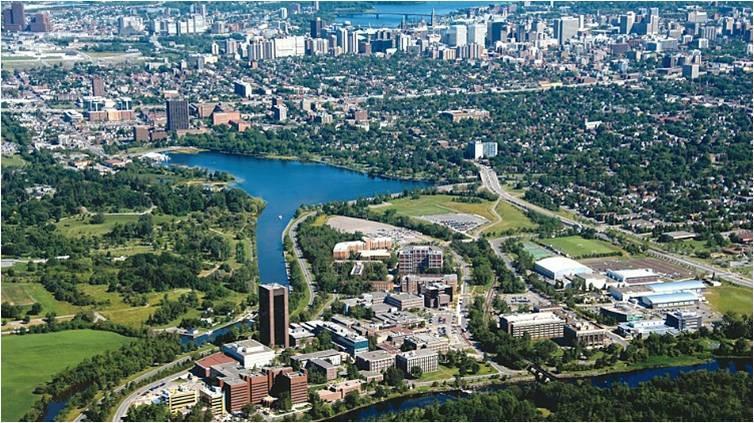 The lookout on the south-east side offers a panoramic view of the Rideau Canal and Carleton University, while the north-east overlooks Dow’s Lake and the surrounding city. The Glebe is a neighbourhood in Ottawa located just south of Ottawa’s downtown area in the Capital Ward. While it’s not the largest in terms of population, its 12,000 residents still make it a sizable community. You’ll find mostly single-family homes for sale in the Glebe, and with it being one of the more prominent and upscale communities in the area, prices of homes typically start around 400,000 for smaller two bedroom homes, all the way up to one million plus for larger homes. This neighbourhood is an attractive site for tourists and residents who take the journey to admire these uniquely architectured homes, often rebuilt by the owners themselves. Each year, The Glebe hosts a community garage sale attracting hundreds of bargain-hunters looking for great deals on second-hand items from these homeowners. If you like treasure-hunting, this annual sale event is the place to be! The Ottawa Bluesfest is an annual outdoor music festival that takes place each July in downtown Ottawa. While mainly focused on blues at the start, the festival has increasingly showcased mainstream pop and rock acts in recent years. The Bluesfest has become the largest blues festival in Canada and the second largest in North America. Make sure you are ready for crowds, beer and loud music as this festival attracts over 300,000 fans each summer. The festival has grown from a one-stage, three-day event to a multi-staged, two-week music showcase featuring some of the best talent available on the planet. Bluesfest continues to increase its diversity and programming scope and offers an assortment of stages that incorporate a variety of genres. No matter what type of music you fancy, you are sure to see various artists perform that meet your tastes, here, at Bluesfest. 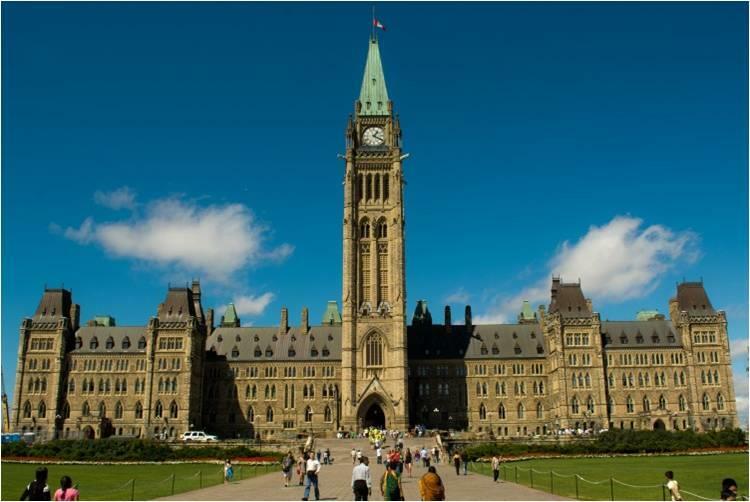 As the above list shows, there is something for everyone in Ottawa! Let us know if you need more information.